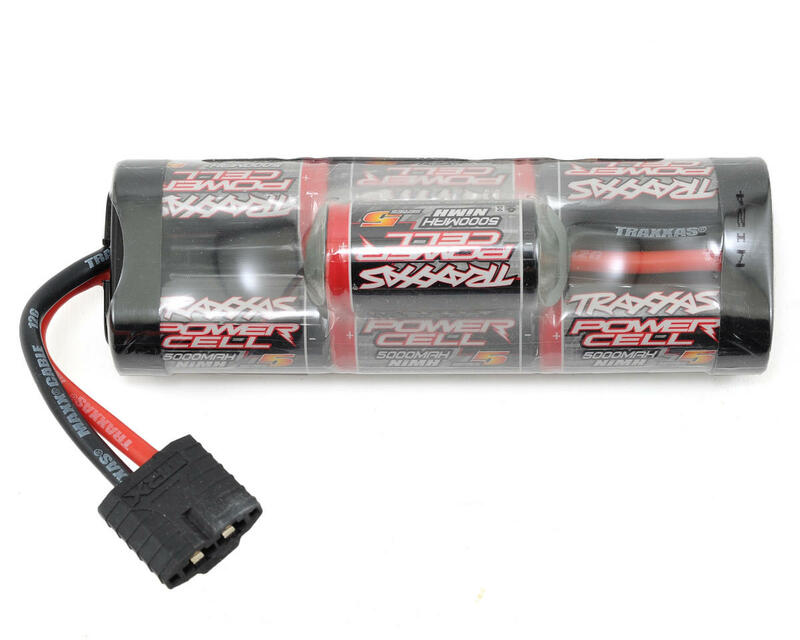 This is a Traxxas "Series 5" 7 Cell Hump Pack with a Traxxas iD Connector. The maximum possible capacity in an iD-equippped Power Cell NiMH pack! 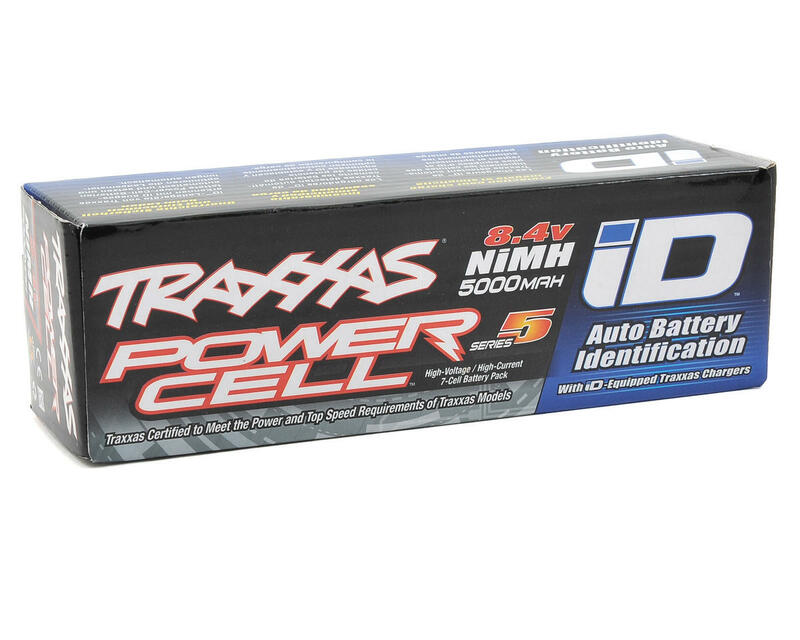 Experience the longest run times and highest sustained voltage under load, ideal for peak performance in power-hungry models, such as the brushless-equipped Rustler VXL, Bandit VXL, Stampede VXL, E-Maxx Brushless Edition, and E-Revo Brushless Edition Traxxas Series 5 Power Cell batteries feature the latest 5000mAh NiMH cells, and are available in 7-cell hump and flat configurations to fit all Traxxas 1/10 scale electric models.